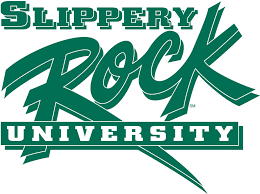 Slippery Rock University offensive lineman Steve Gaviglia, a Seneca Valley graduate, was named to second team All-America honors when the American Football Coaches Association announced its 2018 Division II All-America team Wednesday. A senior from Cranberry Township, Gaviglia becomes just the fourth SRU player since 2010 to be named to the coaches All-America team. He joins Marcus Martin, who earned the honor in both 2017 and 2016, Cory Tucker from 2015 and Brandon Fusco from 2010. Gaviglia is a three-time All-PSAC selection that started 35 games in his four-year SRU career, including 25 straight at right tackle over the last two years. The senior captain helped pave the way for a rushing attack that racked up 2,838 yards and averaged 202.7 yards per game.